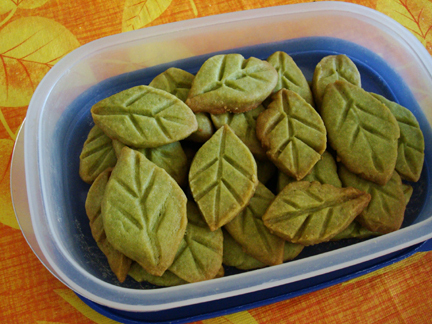 My mom requested some green tea leaf cookies for the weekend, so I thought it would be a good opportunity to try a different recipe, because last time the tea leaves turned out a bit too puffy. So this time I used Martha’s green tea shortbread recipe, and they looked fabulous! :D Kept their shape throughout the baking. The cookies are very, very buttery (so delicious…), but it also makes the dough a bit difficult to handle. 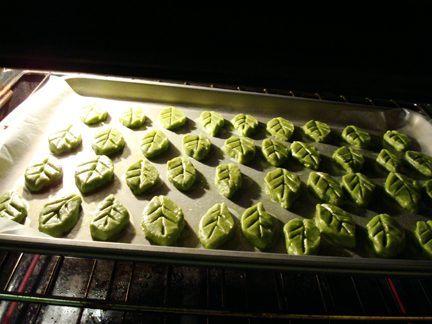 But the leaf‐shapes turned out alright. 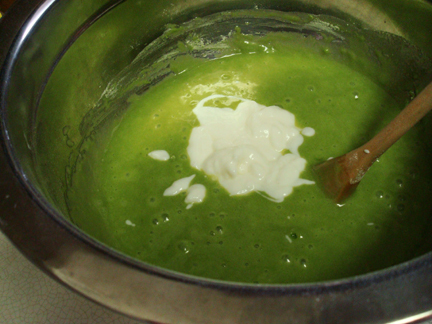 I used regular salted butter because I had some left over from baking last time, but next time I will buy unsalted butter, because I think the saltiness of the butter kind of took away from the subtle green tea flavour, and if the cookies weren’t green one may not even know that they were green tea cookies. But they were still quite delicious. 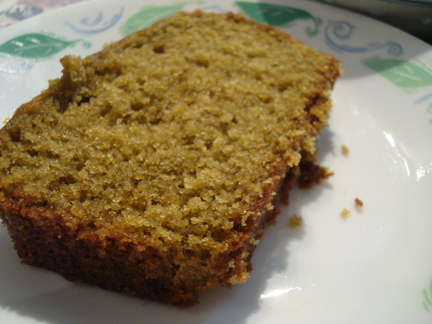 The green tea flavour is easier to detect in the cake than in the cookies. I was rather happy with it.